A week under one roof with all the family or a weekend get-together with friends is a very special event, and with these wonderful houses you’ll have room for everyone – plus built-in entertainment with your very own private swimming pool. Park the car, unpack the swimming togs and dive in at these big holiday homes, whatever the weather. Teach the little ones to swim like fishes, pack inflatables for riotous games, grab a poolside lounger and watch the fun. Or treat yourself to a few peaceful early morning lengths before a leisurely holiday breakfast. 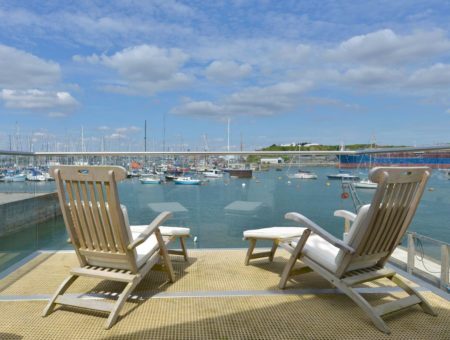 The Lodge is a wonderful property based near the port town of Lymington in Hampshire. 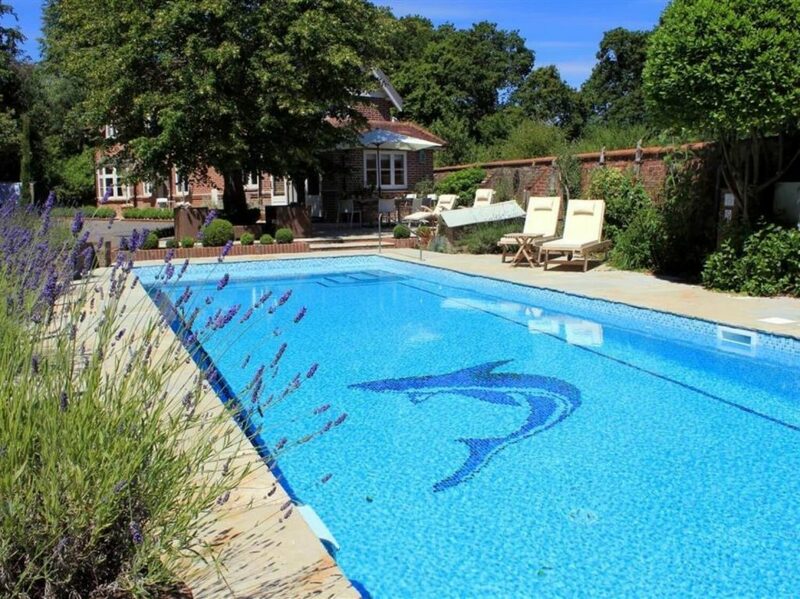 This luxury property has a beautiful garden with an open air, heated swimming pool, surrounded by sun loungers. 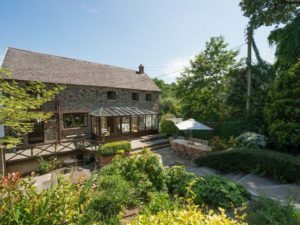 This charming property is a Grade II listed converted mill, nestled amongst an acre of stunning gardens and situated in hamlet of Blakewell, near Barnstaple. In a separate building to the property, you will find an indoor heated swimming pool and changing facilities. 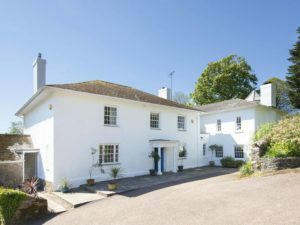 Sandbridge Barton is a stunning Georgian house overlooking the River Dart, just a mile and a half from the village of Stoke Gabriel. 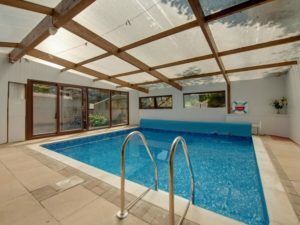 It offers a large indoor heated swimming pool, with a glass domed ceiling and french doors leading to a terrace area with views over the valley. 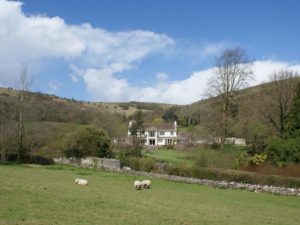 Compton House is a stylish property situated in the tiny farmland village of Compton Bishop, backed by the Mendips. 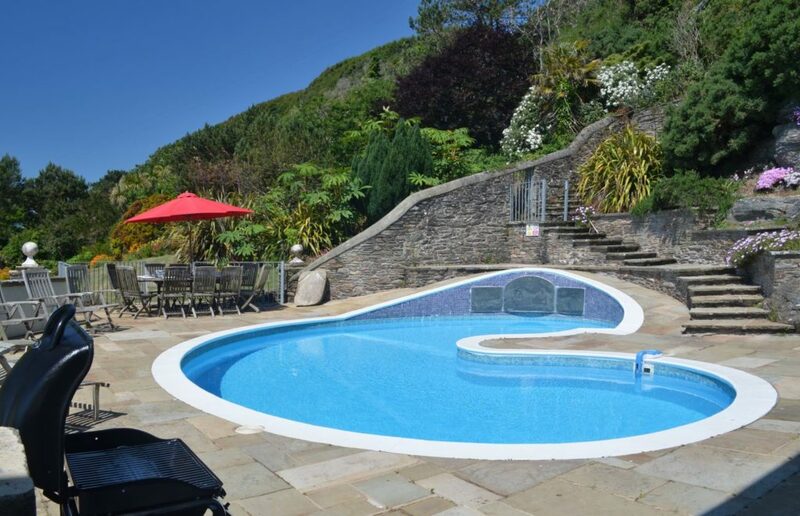 This property offers a large enclosed garden, complete with an outdoor heated swimming pool. 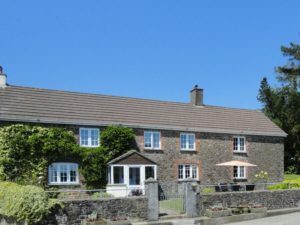 This charming detached cottage is based in the centre of the Devonshire village of Hartland. 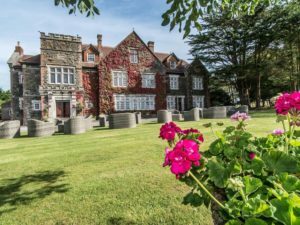 It offers a luxurious bolthole from which to explore the surrounding area, complete with a private indoor pool and hot tub. This beautiful farmhouse is situated within 78 acres of working farm land, just a few miles from the traditional market town of Holsworthy. 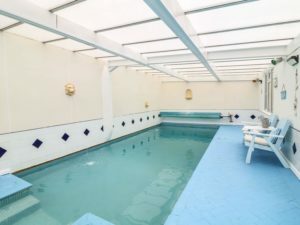 The property offers an indoor heated swimming pool and jacuzzi, in a barn opposite to the farmhouse. 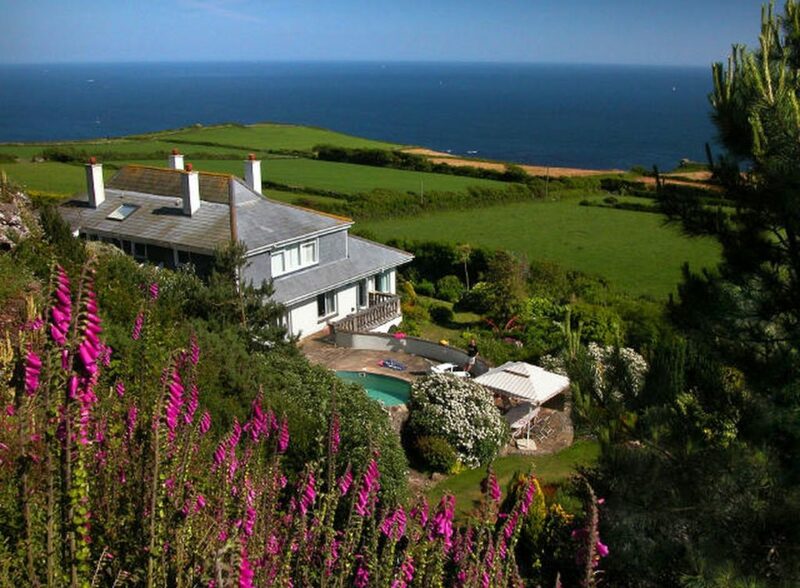 This sunniest of south-facing houses looks directly out to sea, but you don’t need to go far to enjoy the kidney-shaped pool outside the kitchen door in the private three acre garden. 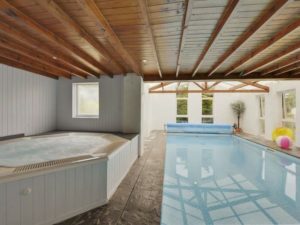 And last but not least, our largest holiday cottage with a swimming pool; Alston Hall. 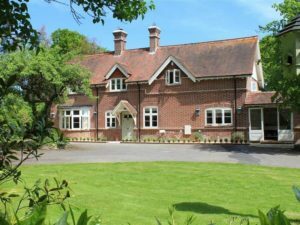 This beautiful property was built in 1906 as a rectory, and was later converted into a country house hotel. 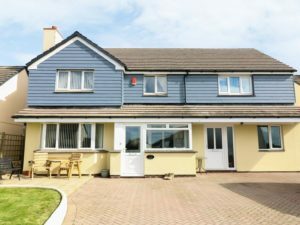 The latter use means that this holiday property retains a lot of its luxury features, including two swimming pools; one of which outside and the other indoors and heated. 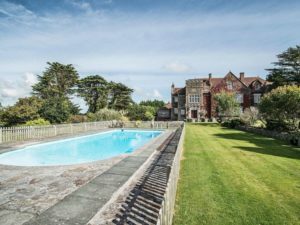 Take a look at the rest of our selection of holiday cottages with swimming pools, from smaller properties to groups of properties sharing a pool – ideal for a big family holiday.